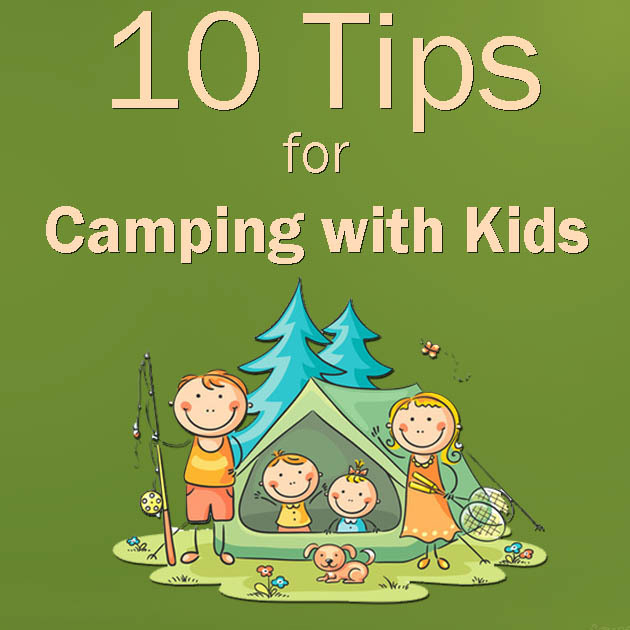 You Must Known About 10 Tips for Camping with Kids, News-JETBeam Electronic Technology Co.Ltd. 1. Plan the trip together – Involving the children in planning the camping trip is the first step. You can have them help you pick where to camp, and activities they might like to do while they are there. They may come up with some ideas that you hadn’t thought of. 2. Practice sleeping in a tent – Setting up a tent ahead of time and allowing the children to spend time in it will help prepare them for the camping trip. You could set it up in the yard if the weather is cooperative, or even let them camp-out in the basement. If the children are very young you may want to camp in a cabin until they are old enough to manage in a tent. 3. Pack wisely – Organization is key. You will want to write a list and mark things off as you pack them. There are many downloadable checklists online that will get you started. You can always adapt the lists to meet your family’s needs. Involve the children in the packing process. Allow each child to bring one bag. A backpack is a great way to get them started. Make sure to take into consideration what the campground you are staying at has to offer. If they have laundry facilities you will not have to pack as many clothes for the kids. 4. Prepare the menu – Before you head out on your camping trip prepare the menu. It makes your time away more relaxing if a lot of the meal preparation is done before you leave. If the children are old enough, ask them for ideas about favourite foods and special snacks you should make sure to include. 5. Pack “Boredom Busters” – Plan some activities the kids will enjoy doing when the “I’m bored” moment strikes. Taking along some inexpensive items that are new to the kids, may get both of you through those “bored” moments. A trip to a discount store before you leave can help you prepare. Whether you surprise them with some bubbles or a board game, the new activity will provide them with a positive way to spend their time. 6. Plan for bad weather days – Make sure you bring along rain gear and heavy clothes just in case you have a rainy or cool day. These days are also great days to plan a trip to a neighbouring town, close by museum, indoor fun park or local greenhouse. Make sure you review what some local options may be for rainy-day outings, before you head out on your trip. 7. Check out the campgrounds activity schedule – Many campgrounds plan children’s events for the entire camping season. Review the campground Activity Schedule for the period of time you will be staying and make a special note of which events your children will enjoy. Often you can print a downloadable schedule so you can have it on hand. Children love events where they can spend time being active and meet new friends. Meeting new friends also helps to keep them busy for the rest of your camping adventure. 8. Plan to create memories – When you are away from the bustle of everyday life, make sure to take this time to create lasting memories for both you and your children. Plan a nature hike and look for frogs, bugs and birds. Walk along the shoreline choosing special stones for a memory box. Take plenty of pictures and a few videos of walking in the woods or sitting on the beach. 9. Sleep soundly – For young children, make sure to keep a night time routine. A later bedtime may be a good idea for new campers. Tired children sleep more soundly, and are less likely to be awakened by the wind in the trees or other sounds they may not be familiar with. Make sure you have packed their favourite blanket or stuffed animal for security. Having a few extra flashlights that are in reach, can also reduce some night time fears. 10. Take A Tour – As soon as you are settled in at your campsite take the kids on a little tour of the area. Preschoolers and school age children will feel much more secure if they are familiar with their surroundings. Help them to memorize your campsite number, introduce them to close by neighbours and show them landmarks near your site. If the children are old enough to adventure to a playground or campground store on their own you will want to make sure that they have a small whistle and a miniature flashlight in their pocket. The best way to ensure a positive family camping trip is with great planning. Take advantage of all of the online resources available to make your family experience a memorable one. Also, remember to pack a little patience, new experiences with children always include some things you didn’t plan for. If you need some fun camping activities for kids of all ages, JETBeam SSR50 flashlight is your right choice for you. 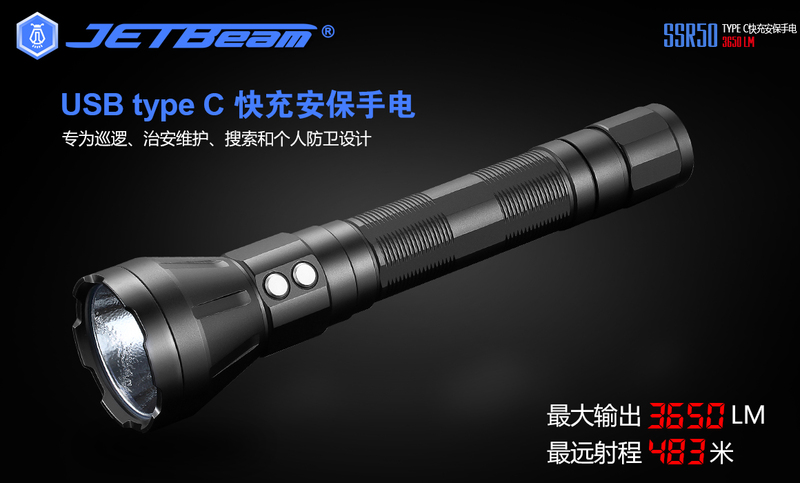 JETBeam SSR50 , a high-brightness dual switches flashlight with power supply function, breaks through the traditional design of flashlight.It was equipped with latest developed vehicle-mounted power charging battery that can survive thousands of times of charging. It adopts the USA Cree XM-L U3 LED with a maximum output of 1000 lumens and 110 hours of run time. The unique dual sideswitches control the three levels of brightness and strobe. SSR50 Flashlight is not only a high-brightness flashlight but also a portable power source. It can supply power for your mobile phone, IPAD, MP3, PSP, etc. JETBeam SSR50 rechargeable high-brightness flashlight and portable power source is your best choice for gifts, outdoor activities, driving tour, expedition, daily use.